Bedroom is the place where one can relax and rejuvenate the soul after a long tiring day. A well designed bedroom can be an awesome place not only for comfy sleep but also for watching TV, meditation or reading your favorite novel. You can either spruce up your bedroom giving it an extravagant look or you can keep it minimal yet stylish and classy. The two main keys to a serene ambience in your bedroom are: using comfortable furniture and selecting the right color palette. One can choose round beds as a creative décor idea to transform the bedroom to an oasis of opulence and panache. 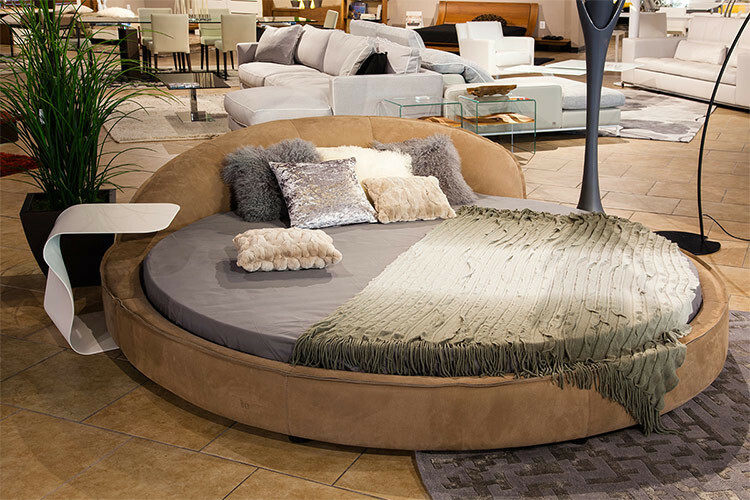 Circular bed symbolizes royalty and luxury, thus associated with grand hotels and bedrooms of Hollywood stars. There are many ways in which one can incorporate circular beds. Cozy romantic:Make your bedroom a special cozy place for you and your loved one to share some private moments. Canopy beds, flowing draperies and floral wall papers an create an aura of love and romance in your bedroom. Pristine white: Pamper yourself with this round bedroom splashed in pure white color making you feel like waking up in a white fluffy cloud. Add a furry white rug to accentuate the beauty of the room and at the same time giving a treat to your feet early morning. Playful kids: You can add a zing to your kid’s room with these round bedroom designs. Use lovely color palette and an eye catching décor to enliven your kids’ mind. 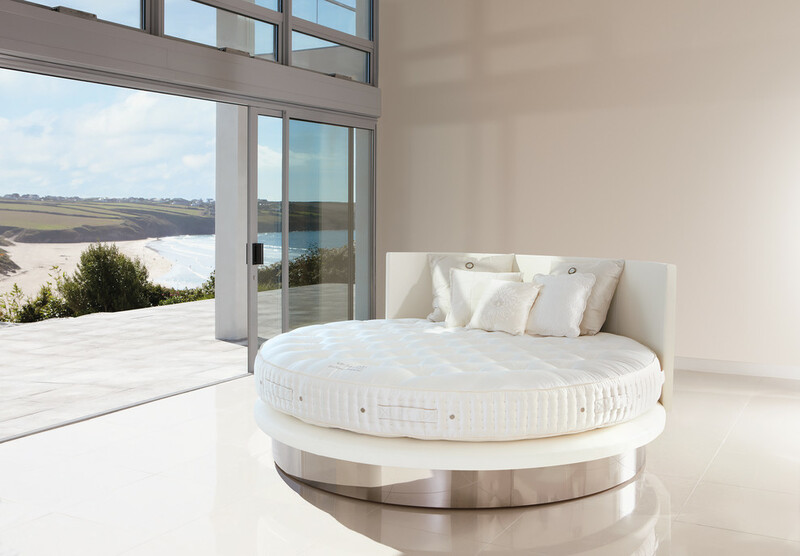 Bring in home beautiful round beds to render a welcome change to your beauty sleep. 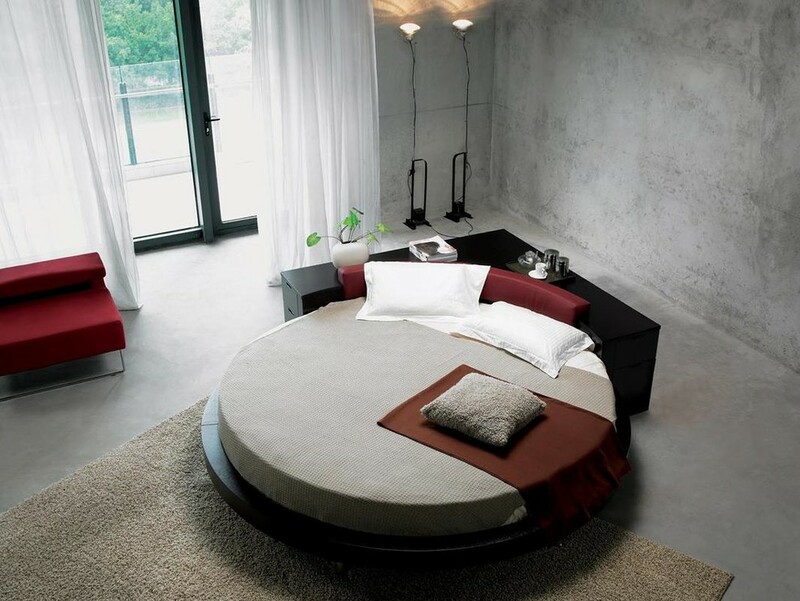 Stylish contemporary: Sleek and stylish, round beds are perfect for people who loves to be classy with a minimalist home.